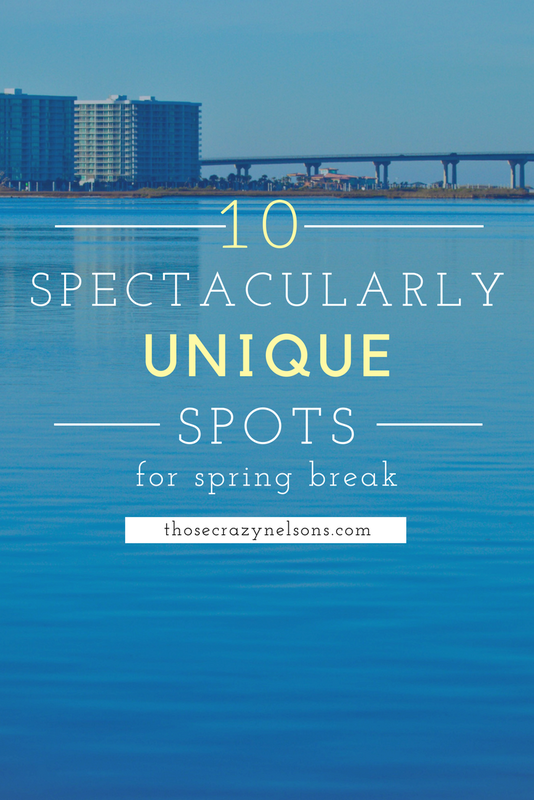 Don't let spring break sneak up on you! Here are 10 UNIQUE ideas for you! How about a castle in Birmingham with a gorgeous golf course and spa? Sound chill enough? When we went a few years ago, a man in a kilt would play bagpipes each evening at dusk. It's all kinds of sophistication at this Marriott Hotel. located close to Birmingham Civil Rights Institute, Birmingham Zoo, Splash Adventure Waterpark, and other kid-friendly options! Want to feel like you've escaped to a mountaintop art community? Then point your GPS in this direction. From the quaint restaurants to the antique stores to the B&Bs hidden away in the mountains, this is the pause button you need from life. We're sure the Tennessee River views from here have literally knocked a few travelers off their feet. There's not too much around, but for the traveler who's looking to forget the world...we're sure that won't be a problem. We selected this hotel because of its amenities, but also because of its location to Muscle Shoals, Alabama. If you're a music buff, you know that this was the mecca for many recording blues and rock-n-roll legends in the 60's and 70's. The area is so rich in history that they even made a documentary about it. 5. Stay in a yurt in NC. Who would have thought you could stay in a yurt without flying across an ocean? North Carolina is full of adventure. With the company Wildwater, you can zipline, stay in a yurt, do off-roading in jeeps, and raft the rapids!! 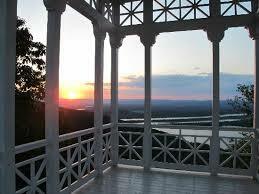 Drive through Chattanooga for a double destination trip. Speaking of Asheville, this place is an adventure jackpot! What we love about it is that it's kid-friendly, because we're' big on doing ALL the hard things together. Available adventures: ziplining, bike trails, ropes course, and more! Consistently ranked as one of the top things to do in Louisville, this place lives up to its mega name! Ziplines, bikes, ropes course and tram tour are just snippets of what can be done there! Go underground this spring break! With so many other things to see in Louisville, making this a spring break destination is a no-brainer. 8. Stay in a Kentucky castle. Do you think your kids would like to stay in a real life castle? Bring the swords and the princess dresses and let them imagine the night away! If you don't want to spend the night, opt for the castle tour and meal! Hit the beach without breaking the bank and stay in Gulf Shores! A sweet beach town, it's one of the lesser touristy spots on the coast...and so family-friendly! If you're looking for a beachfront condo, we stayed here last time. Have you ever wanted to go to old colonial Williamsburg, but just couldn't squeeze in a trip to Virginia? This is a wonderful option for you. Our kids had so much fun in this living history attraction. We even went up in a hot air balloon. Conner Prairie opens their outdoor towns in April, so be sure to call ahead and verify they'll be open during your spring break dates. Here's a bonus trip idea because we love to over-deliver! An IMAX, outdoor rides, simulations and HUGE rockets to explore, this is an awe-inspiring trip for any budding astronaut. Talk about the wonders of space the whole drive down! Then, explore the city of Huntsville! Recently featured on a popular travel show, the city surprises new visitors every time!